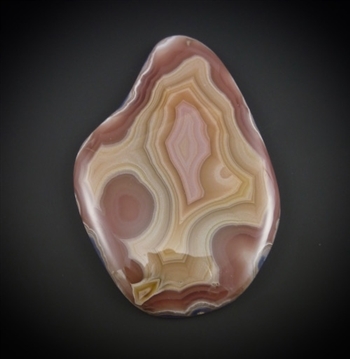 From the Special Reserve Collection: a stunning laguna agate cabochon. Beautiful high polish, all natural colors. Cabochon measures approximately 58x40mm at the widest points. Photo doesn't even begin to do this cab justice.